A flight instructor is a person who teaches others to fly aircraft. If looking for a career as a helicopter pilot, this will most likely be your first job. In order to become a CFI, all maneuvers must be performed to FAA standards. Flight time requirements will be tailored to the individual. You must hold a commercial pilots certificate to start certified flight instructor training. You must be at least 18 years of age. You must be able to read, speak, write, and understand the English language. An instrument flight instructor is a person who teaches pilots to fly by reference solely to instruments. 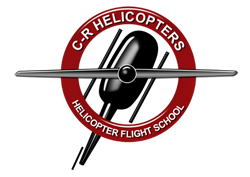 In order to become a CFII, all maneuvers must be performed to FAA standards. Flight time requirements will be tailored to the individual. You must hold a CFI and instrument rating to start certified flight instructor instrument training. You must be at least 18 years of age. You must be able to read, speak, write, and understand the English language.